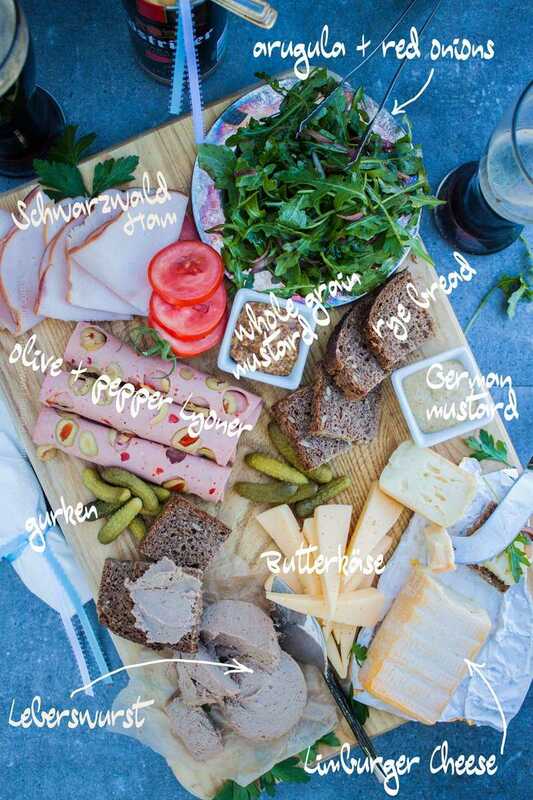 We assembled a German meat and cheese board with some of the most typical German cheeses and cold meats (as a nod to the currently ongoing Oktoberfest:) and a definitive menu item of our Craft Beering Oktoberfest Bash. 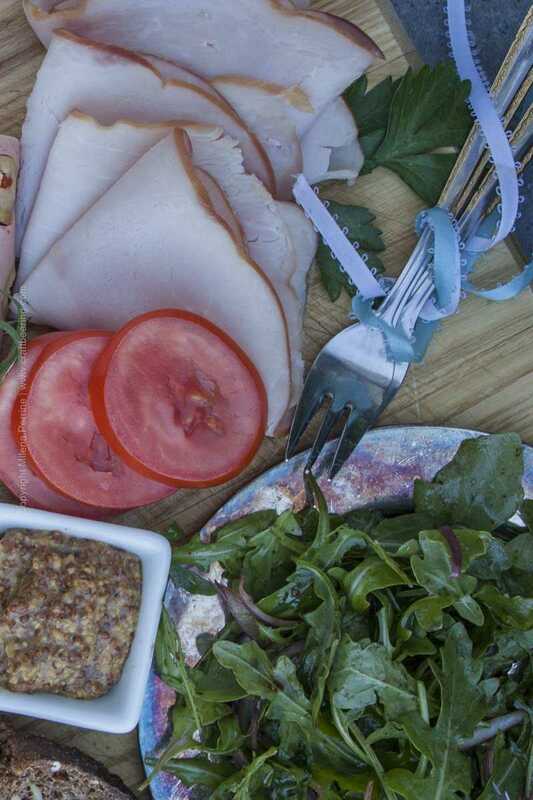 Both the meats and the cheeses are relatively easy to find across the US. We have the proud German heritage of Wisconsin to credit for that. As for the craft beer component of the pairing we selected a dramatic in its appearance all German brew – Schwarzbier. So much to write geek about in this post. Prost! And below, in all its glory is the beer of honor. Köstritzer Schwarzbier. It is a black lager, a style with a long history that was first brewed in the eastern parts of today’s Bavaria and the south-west lands of the adjacent Czech Republic. 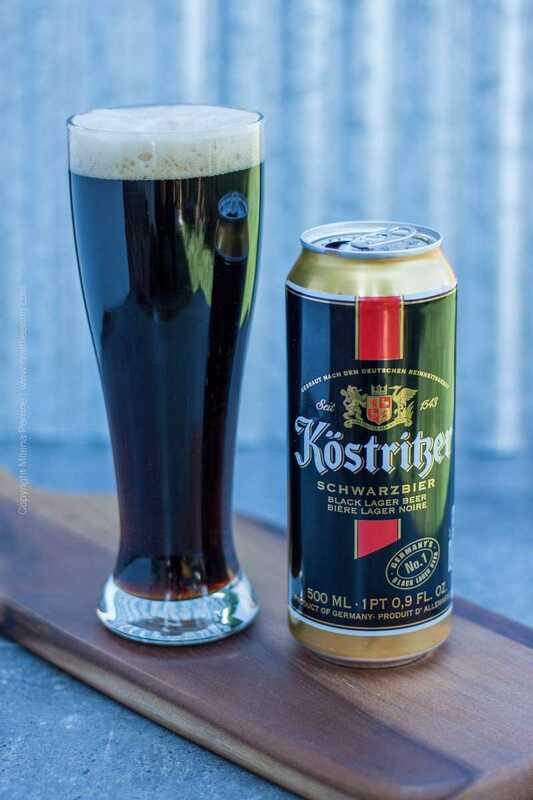 The Köstritzer brewery in Germany was one of the oldest producers of Schwarzbier, they started brewing the style in the middle of the 16 century. In 1991 they were acquired by Bitburger Braugroupe. The beer is brewed under the regulations of the Reinheitsgebot (German Beer Purity Law). As a style, Schwarzbier (Black beer) has gone through a few transformations (considering that archaeological evidence suggests that it had been primitively brewed as far back as the late 8 century BC, the time of Celtic invasions into Central European territories). Even though the first thing you’d observe about it is its pitch black color, this beer is actually very clear and has the brilliance and very fine carbonation pale lagers are known for, except that both are disguised by the intense color. If you look at the very bottom of the glass in the picture you will notice hues of deep mahogany, a testament to the characteristic clarity of Schwarzbier. Many people see a Schwarzbier for the first time and assume that it will taste like and have the mouthfeel of a stout. No truth to such assumptions. It tastes nothing like a stout. In fact, if you first sampled it while blindfolded, you would find it similar to a Czech pilsner, with somewhat of a slight hint of cocoa and/or roasted coffee beans added to the flavor profile. It is perfectly balanced – bitter and sweet exist in harmony, both on the lower side of the spectrum. A characteristic Noble hops kind of elegant bitterness, every sip ends clean and quite dry, much like a pilsner. Hence, it is sometimes called ‘black pilsner’. The ABV is low, usually just below 5%. We chose Schwarzbier because it pairs so very well with the ‘participants’ in German meat and cheese board. Especially with the cheeses and the rye bread. Let’s look at why we included each item. 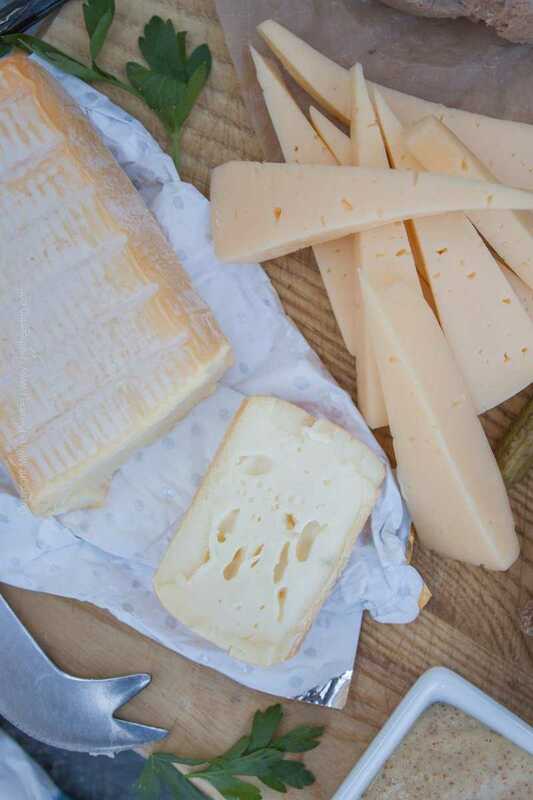 Get artisan cheeses delivered to your door by joining The Cheese of the Month Club. Or give a membership as a gift. This is the cheese on the right in the picture above. Buttery in consistency and appearance, it is a dream to spread over toast, rye bread or even nut crackers. With a mild flavor (similar to that of young Gouda) Butterkäse (‘butter cheese’) is the quintessential German cheese. It is semi-soft and made of cow’s milk, aged for only a brief period of time. Melts beautifully, try it in a beer cheese sauce like this one, but using Schwarzbier. This is the cheese on the left in the picture. A semi-soft cow’s milk cheese, aged for 2-3 months. It has a characteristic smell (similar to Raclette cheese) due to the bacteria used to ferment it (same one for both cheeses, Brevibacterium). Today it is almost exclusively made in Germany, but its origins are from an area known as the old Duchy of Limburg in Belgium. In the US, it is produced in Wisconsin. Germans love to spread it over rye bread, with a red onion garnish and pair it with lagers (or coffee when the rye bread and Limburger cheese are eaten for breakfast, which is very often). As I mentioned in our last post, Lyoner is the equivalent of Bologna in Germany and the loaf with olives and peppers is a popular variation. Our favorites are Lyoner with garlic and this one. So well suited for rye bread and Schwarzbier. We could not leave out the emblematic ham of the state of Baden-Württemberg in the south-west of Germany. Schwarzwald is a large forested region in the state, it literally means Black Forest, hence the popular US name, Black Forest ham. Schwarzwald ham is lightly smoked with beech wood chips. It is delicate, with very tasteful hints of smoke and partners beautifully with the Schwarzbier. Chris and I have such fond memories of a summer we spent together in Freiburg and the surrounding Schwarzwald area a few years ago. He was all over the craft beers sold as singles in the grocery store, right by appetizing selections of chees and cold meats. I was taking German classes every afternoon, and many times once I came home after class he’d already have prepared a nice snack board and we’d have a beer or two before venturing around the city to find somewhere to eat. On weekends we would sit in the shade of a Biergarten and order a charcuterie platter, which usually included Schwarzwälder Schinken. 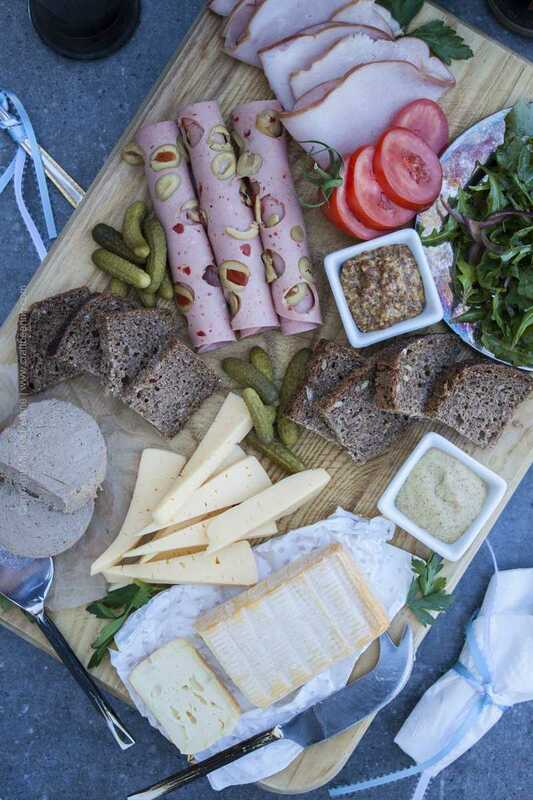 The pickled dill gurken, German and whole grain mustard, tomato slices and parsley are a must for a German meat and cheese board. They go with the territory. We included the mini arugula and red onions salad because red onions go with Limburger and Leberwurst and arugula seems to be a wildly popular green in Germany (based on our experience). And of course the rye bread. If we had to build a German style cheese and crackers platter, the crackers would be rye bread (like the German-style pumpernickel on our board). Dark rye bread is a classic, not to mention it has an incredible pairing affinity for German lagers. Final words about this craft beer and food get togehter. In the US two popular Schwarzbier examples are New Belgium 1554 and Samuel Adams Black Lager. If you cannot find Schwarzbier style locally, the following styles are suitable to pair with a German meat and cheese platter. Most definitely Munich Dunkel, but also German or Czech pislners, Helles, and let’s not forget Oktoberfestbier or other amber lagers such as Vienna lager and Märzen/Oktoberfest style brews. Get (or give) monthly shipments of US and international beers by joining the US and International Beer of the Month Club. Would you give this German meat and cheese board & black lager pairing a try? Pin it for later if so:) If you want to stay connected and receive and e-mail every two weeks with a list of our latest post, be sure to sign up using the e-mail form at the bottom of each post. We’d love to share more of our experiences with you! Well, as long as you like Leberwurst…:) Thank you Karie! What a SPREAD! I love everything there. That Butterkase sounds like something that I would hoard all for myself!! The Leberwurst is definitely one of my favorites! (hint: because there’s liver in it! Lol). I’m salivating just thinking about it!!! OMG, yes, livers are so good, aren’t they? Growing up my grandma would prepare this chicken livers dish with sauteed onions and who knows what spices ( I wish I’d had the good sense to get her recipe) and no one was exempt from eating it. All the grand kids had to eat a serving because it was so healthy for us. I always enjoyed it actually, and liverwurst by extension. Cheers Marvellina! I love Black Forest Ham. It’s a regular sandwich meat in my household. I love the history that you bring to your posts. Thanks for sharing on Sunday’s Best. What a great German eat and Cheese Board. Thanks so much for sharing your awesome post with us at Full Plate Thursday and come back soon! this brings back good memories of Germany 😉 I love a good meat and cheese platter board, can’t go wrong! Thank you Amber, there is so much history behind the craft beers of today, always interesting to learn more about how they came to be. The meat with the olives in looks so good! I’ve not tried any of these meats and cheeses ? 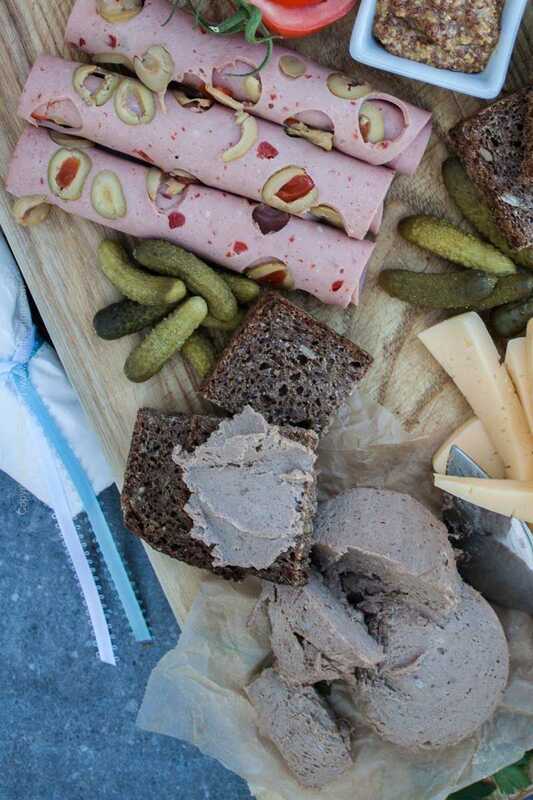 This German Meat and Cheese board is everything I want for our next tailgate! Such a beautiful and interesting spread! I love the history and flavor you bring to your posts! Pinned! Whoa. Schwarzbier goes back to the 8th century? So cool! I had no idea! Part of my family comes from Baden-Wurttemberg, so the addition of that ham will be a must for me on my meat and cheese board. Have a great week, Milena! I know! It was nothing like what it is today, but it is one of the oldest beers in Europe. Yey! You roots are from Baden-Wurttemberg, such a beautiful area! Thank you Roseann and thank you for the opportunity. I love a good meat and cheese board, and I love german mustard so this post was made for me. That arugula and red onion salad looks tasty. I want to try both cheese and leberswurst, everything looks so good. Thank you Mary! The arugula salad is smth I also like to put on top of white pizza, like mozzarella and olive oil only and then this salad and a few prosciutto slices. It would be great with the Limburger cheese actually, instead of the mozzarella. Gotta try it now that I though of it:) Thank you for stopping by! Oh my goodness! Geek on, my friend, geek on….especially when it comes to food and beer. Go for it, I say. I’m at the age now, where I’m comfortable with who I am and if that means ‘geeking’ or ‘nerding’ out then so be it 😉 ! What a freakin’ spread you have here. I would be SO happy to have that for dinner….or breakfast….or lunch. That butterkase cheese looks and sounds amazing by the way. Cheers to a wonderful weekend 🙂 !! Thank you Dawn! It was assembling the board and pairing it with an old beer style.. Taking a break from super hoppy beers lately:) Enjoy your weekend too!